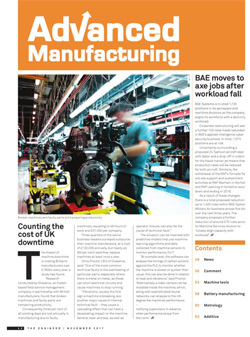 It is estimated that machine downtime costs UK manufacturers £180bn every year (The Engineer Magazine, Nov 2017 'Counting the Cost of UK Downtime'). The research by Oneserve, found that broken machinery and faulty parts are hampering productivity, equivalent to 3% of all working days. Condition Monitoring, such as Mitsubishi SmartCheck offers a predictive approach to plant maintenance, keeping downtime to a minimum. To optimise maintenance activities it is crucial to have up to date visibility of the status of machinery, especially primary assets such as motors, fans, pumps and gearboxes. Integrated solutions from Mitsubishi Electric collect live data from advanced measurement sensors for analysis by multiple levels of management systems. Standard monitoring concepts often focus on only classic machine and process parameters such as temperature, pressure or hours of operation. Chris Proctor, CEO of Oneserve, said "Vibrations are usually the first sign a machine is breaking... they cause a cascading effect that can have a devastaing effect on the machine." 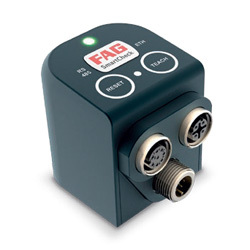 Smart Condition Monitoring (SCM) with FAG SmartCheck sensors can permanently monitoring vibration-based parameters on your essential machinery. Mitsubishi Electric, in conjunction with Schaeffler, can provide an integrated approach to monitor the condition of the asset. Information can be automatically transferred over Ethernet via the iQ, iQF and L-series MELSEC SmartControllers to multiple information levels. 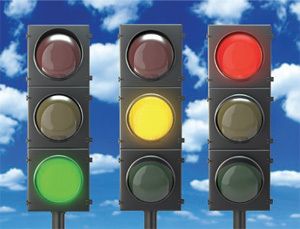 The status of the SmartCheck is displayed like traffic light signs in green, yellow and red for easy recognition. The information will also be sent to the controller and viewed as clear text message offering advice for service and maintenance. Consulting, commissioning, remote service, maintenance contracts, training courses, rolling bearing solutions etc.